There are many reasons to want to spend some time in Santurce. This blue-collar, bohemian neighborhood doesn't have luxury hotels, beachfront access or any casinos. What it does have is a few of Puerto Rico's best museums, an outstanding performing arts center, several cool bars, and hangouts, and some of the best restaurants San Juan has to offer. From the many terrific dining options from La Plaza del Mercado to La Casita Blanca, there is always something new and tasty to discover in this neighborhood. Another addition to the list happens to be Abracadabra Counter Cafe. Located on an otherwise nondescript corner of Ponce de León Avenue, Abracadabra will catch your eye on the weekend for one simple reason; it's the place with the lines of people waiting patiently for a table. True to its name, Abracadabra is a place where magic happens. The stage in the far corner hosts numerous shows, from magic tricks to drag queens. The yellow and white pinstriped walls are covered with vintage photographs, all of them accentuated with a painted white rabbit faces. The counter is usually lined with diners and the friendly, laid back staff meanders among the packed tables at a leisurely pace, and a short staircase leads to a lounge-like second-floor room where you could happily spend a few hours with a cup or two of their excellent Hacienda San Pedro coffee. Of course, it's not just the ambiance that draws people here; the food is excellent, and in a city where brunch isn't the most common meal to find, the weekend brunches at Abracadabra are welcome and understandably popular. Start with a house mimosa, which you can enjoy the old-fashioned way, with orange juice, or with tamarind, passion fruit or acerola (sour cherry) juice. For non-drinkers, the house sparkling ginger soda is excellent. After that, sample one of the best omelets in San Juan: the "Veggie Luv," with spinach, red onion, mushrooms, sun-dried tomatoes, and basil -- a fluffy, wholesome and just about perfect dish for brunch. Or you can sample the "Magic Pancakes," which are available plain or gluten-free, with or without fresh fruit, and most importantly, with or without Nutella. 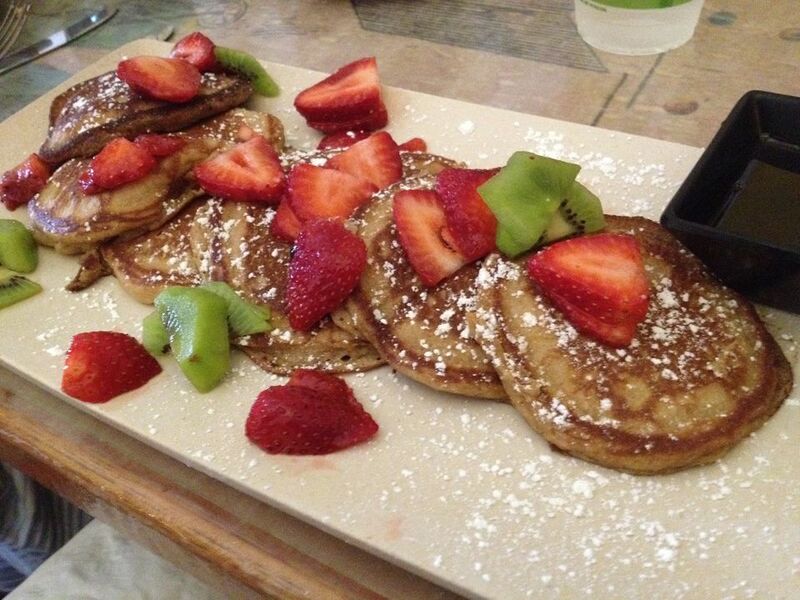 You can also get French toast with or without fruit and Nutella as well. The portions are smaller than the typically massive portions served in the U.S., but they certainly don't lack for flavor. Another meal option is a selection of paninis. The classic panini Provençal, made with fresh mozzarella, basil, tomato and olive oil is nothing exceptionally creative, but the ingredients are of excellent quality. If you go during the week, you can also order a falafel or a salmon, veggie or organic beef burger for lunch. Most of the ingredients used at Abracadabra are locally sourced and organic. Abracadabra is far off the beaten path of Condado, Isla Verde, and Old San Juan. But if you want a slice of local life and clean, simple and flavorful food in a whimsical setting, it's well worth the trip.